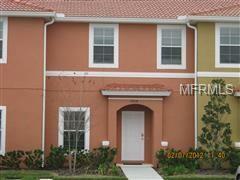 2 BD 2.5 Bath Townhome in the very popular, gated, Encantada Resort Community. Open floor plan, granite counter in kitchen, both bedrooms upstairs an ensuite. Contemporary European furnishings. Oversized lanai with hot tub, with pleasant view. Very well appointed Clubhouse with restaurant, bar, fitness center, games room, 2 pools and play area. Pet Restrictions Maximum Weight For Pets 50 Lbs. Listing provided courtesy of Midlan Int'l Resort Realty Inc.